Can you say NOSTALGIA?! In my previous Hidden Treasures post I took you to a little flower shop in the city of Preston, my second home. 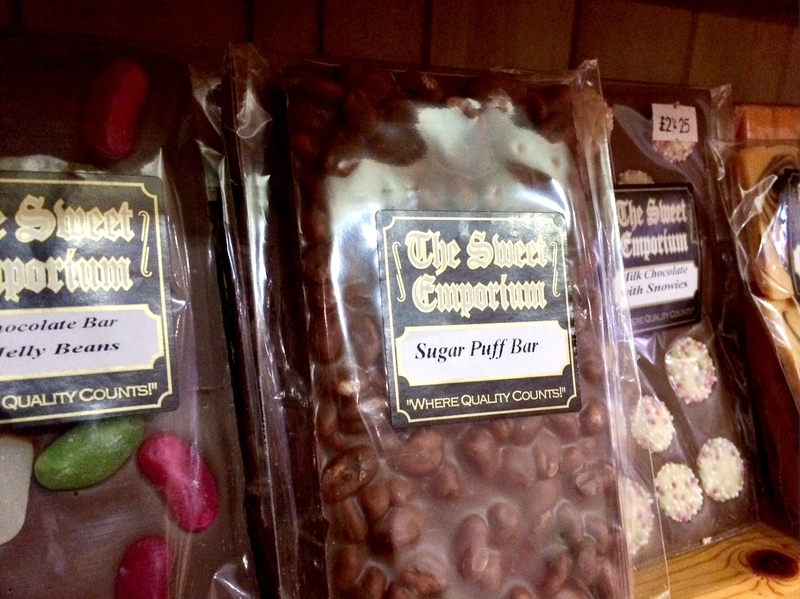 This time we're going to The Sweet Emporium in my home town. I've been away for a year and haven't ventured into the town centre so forgive me if you're reading this from the little old Lake District and have been here already, but I got excited about this place. It's not hidden as such, being in the town centre, but it sure is a treasure. Do you remember cola cubes and rosy apples? Rhubarb and custards and those little football chocolates that used to hang out in your party bags? I sure do, and so does this place. Even just the fact that they have a basket full of Haribo fried eggs makes me want to squeal with excitement. 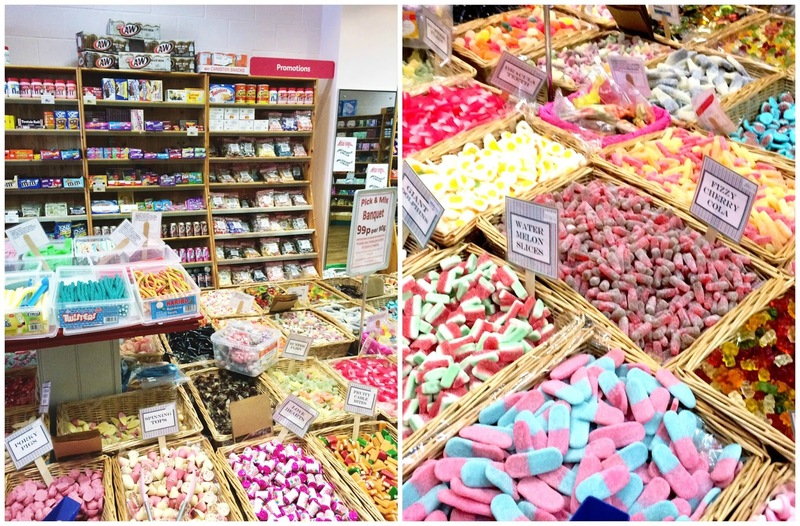 Stepping into this colourful emporium was like taking a few minutes out of the adult world and delving back into after-school sweet shop runs that I always adored. Throw me a can of cream soda! 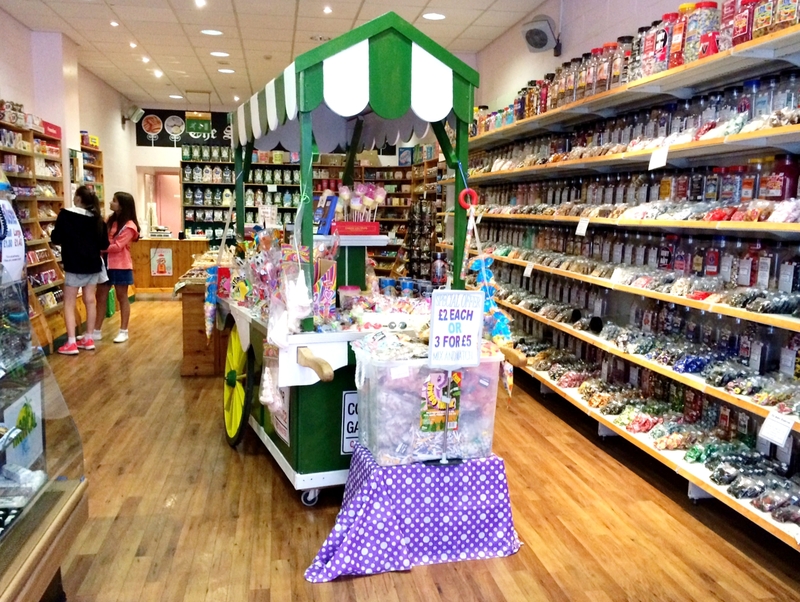 There is literally something for everyone in this shop, from handcrafted chocolate to marshmallow fluff. 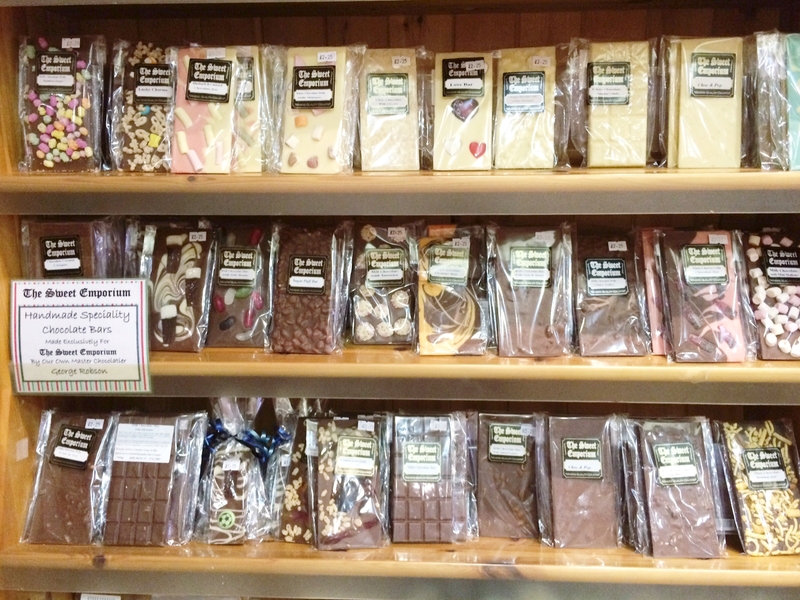 It was tempting to spend all afternoon choosing some treats. but I didn't dwell too long here for the fact that my boyfriend and I had to dash to the post office before closing time. I've plugged it a lot here but for those who've just joined me, we were posting out copies of our comic book, 3 Parts Mad! You can read more about that and other adventures here. The chocolate bars ranged from Jelly Bean to Lucky Charms. Crazy stuff! I didn't touch the chocolate but purchased some traffic light lolly-pops and rosy apples for myself and Josh, before waving goodbye to this cookie dough palace. 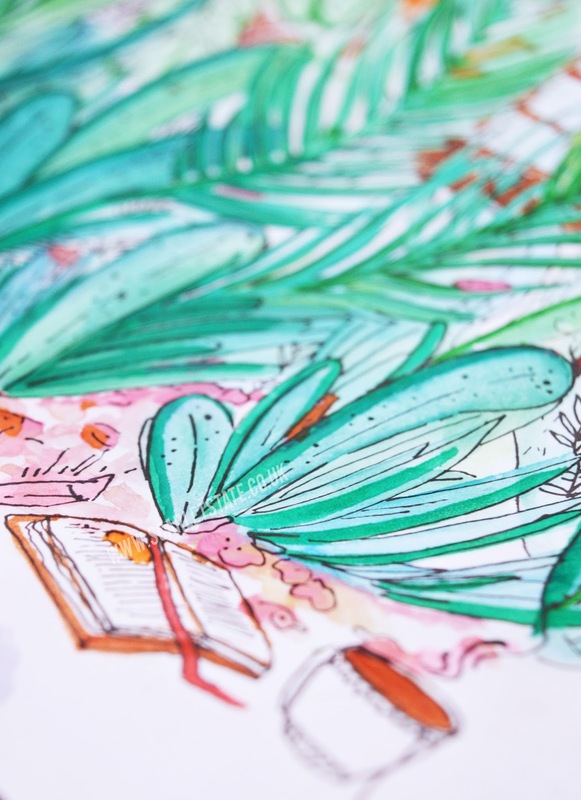 What a cool place- I'd love to do some illustrations in the windows or something! 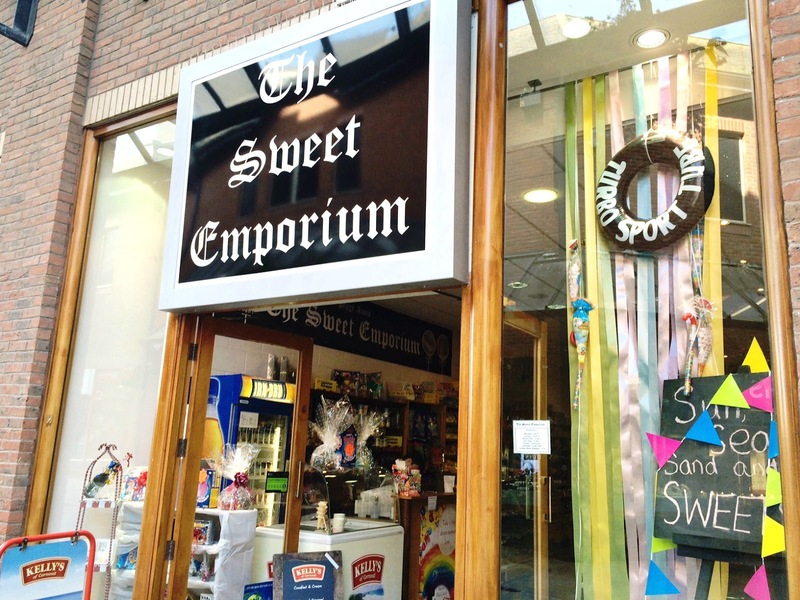 The Sweet Emporium is on Portland Walk in Barrow-in-Furness. You can see more from them here! Have you visited anywhere awesome lately? 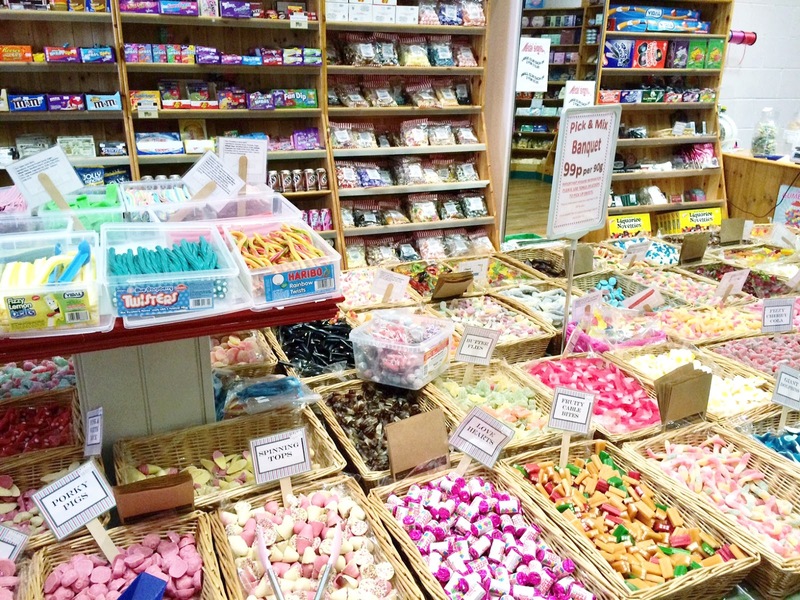 What's your favourite childhood sweet?